Data deteriorates at a frighteningly high rate, so it is critical that you have the right data cleanse processes in place to regularly review your data to keep it fresh and compliant. Marketing to inaccurate data not only jeopardises your marketing budget, it has the potential to damage brand reputation and could result in scrutiny by data regulators. 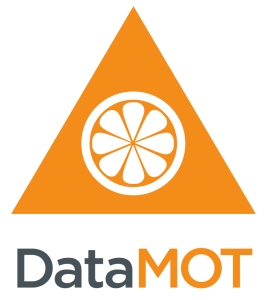 To make things simple we have introduced DataMOT – your cost effective data cleansing, verification and enhancement solution that keeps your data fresh and clean. DataMOT offers a low cost data cleanse solution which is available in four different packages, designed to meet your specific business requirements. Contact us today for a Free Data Audit so that we can show you how accurate your data really is and provide you with a data cleanse package that suits you. B2C Data – our B2C data cleanse solutions include a range of data standardisation and formatting functions that ensure your marketing data is consistent in your database. We also provide a full range of data suppression tools that ensure that your data is compliant. We clean your data against a range of Exclusion, Deceased and Goneaway files, whichever are relevant to your marketing needs. We do this as a fully managed service, a hosted solution or on a campaign basis with a focus on quality of service and our guarantee to reduce your data cleaning costs. B2B Data – our B2B data cleanse solutions include business level cleaning to remove businesses that have ceased trading and identify those that have moved location. We also provide unique business contact level cleaning, enabled through our close relationship with business publishers, who are able to track contact level movements online, allowing us to update your data with their new place of work. People move and change address on a regular basis. According to Zoopla the average UK family moves house 8 times in their lifetime and up to 7m people change address every year. Data suppression is therefore critical in keeping your data fresh and accurate whilst minimising the cost of wasted mailings to people who have moved. Our Purifi data suppression file is the result of combining our extensive B2C LifeBase data universe with known home mover data to identify the exact point a home is vacated. Every time we receive a home mover notification we match the address to our consumer universe to find the details and add this information to the Purifi suppression file. Purifi can be supplied as a complete file, automatically updated via an API, or we can provide a fully managed data cleansing service.